Video links also follow below, thanks for reading/ watching. 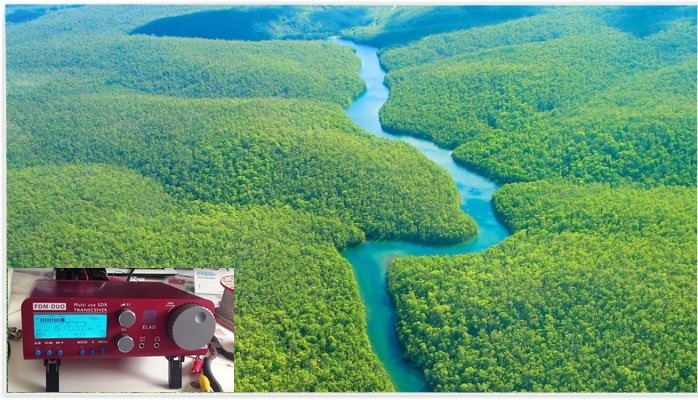 This entry was posted in Antennas, DXpeditions, Guest Posts, International Broadcasting, Portable Radio, QRM, Radios, Shortwave Radio, Shortwave Radio Reviews, Software Defined Radio, SWLers, Ultralight DX and tagged 155th Birthday Heinrich Rudolf Hertz, AIR, AIR Bhopal, Bolivia, ELAD, FDM-DUO, India, Peru, Radio Cultura Ondas Manaus, Rádio Educação Rural, Radio Logos, Radio Mosoj Chaski, SDR, shortwave, Shortwave Music, Shortwave Radio, Shortwave Radio Recordings, Shortwave Radio Reviews, Shortwave Radios, Software Defined Radio, Sony on September 1, 2016 by Clint Gouveia. 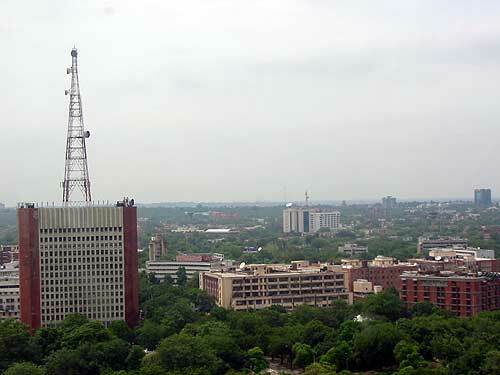 All India Radio considering shut down of shortwave service? All India Radio (AIR) Headquarters in Dehli, India. Photo source: Wikipedia. The Prasar Bharati Board is contemplating shutting down the short-wave service of the External Services Division (ESD) of All India Radio (AIR) even as a proposal to switch to an affordable internet-based radio service is still under consideration. A section of the board is keen on closing down the short wave service as an exorbitant amount is being spent to maintain the current infrastructure. “The total budget allocated to ESD is Rs 100 crore annually. Out of this, approximately Rs 95 crore is spent on the maintenance of short wave transmitters, which includes the high cost of spare parts that are not easily available. The remaining Rs 5 crore is spent on the production of programmes in 27 languages, and to pay the salaries of the staff who are hired on a contract basis,” said a senior official in the ESD. “One would expect to gain a large fan base after spending so much money, but this has not been the case with ESD. Since no survey has ever been done to determine the number of listeners, we cannot give an exact or even an approximate number of people who listen to AIR’s ESD channels across the world. But we know that we have a good following based on the feedback that we receive from people in countries where ESD is being listened to. Our listeners send us postcards or emails from Africa, New Zealand, Australia, Japan, etc. But the following is not in proportion to the money being spent on this service,” said the senior officer. “The proposal suggests the shutting down of short wave and the service being made web-based. Since internet is far reaching, listening radio live on the web should not hurt our existing fan base. But of course there is the argument that short wave can reach even the remotest corners of the world, which is not the case with internet signals. The shutting down of short wave, without a doubt, will affect the propaganda value of India among its listeners abroad. This is why there are chances that the short wave service might continue in neighboring countries like China, Nepal, etc. Also, India’s edge in a continent like Africa will suffer a blow if the short-wave is to be shut down,” said sources in AIR. […]At present, ESD broadcasts 57 transmissions daily, with almost 72 hours covering over 108 countries in 27 languages, out of which 15 are foreign and 12 are Indian. The Indian languages are Bengali, Gujarati, Hindi, Kannada, Malayalam, Nepali, Punjabi, Saraiki, Sindhi, Tamil, Telugu and Urdu. The foreign languages are Arabic, Balochi, Burmese, Chinese, Dari, French, Indonesian, Persian, Pushtu, Russian, Sinhala, Swahili, Thai, Tibetan and English (General Overseas Service). This entry was posted in Broadcasters, International Broadcasting, News, Shortwave Radio and tagged AIR, All India Radio, India, Shortwave Closures, Sunday Guardian Live on April 18, 2016 by Thomas. Buying a shortwave radio in India? 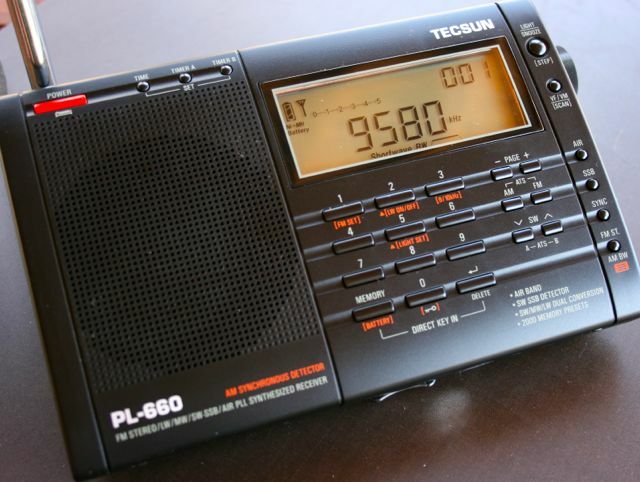 SWLing Post reader, Muthu Kumar recently asked if I knew of a good source of shortwave radios–specifically, the Tecsun brand–in India. I’m asked this very question at least a few times each year and have always replied that eBay may be the best option. I’m curious if any of our readers living in India have good suggestions of shortwave retailers either within the country or who ship to India without many hassles. Please comment. This entry was posted in News, Retailers, Shortwave Radio and tagged India, shortwave, Shortwave Radios India on September 17, 2015 by Thomas. You’ll note the BBC World Service fails to mention that DRM has been in use now for over a decade. The report ends by suggesting that portable DRM receivers will be on the market in a few months. Even if DRM radios start appearing, whether or not they’ll be effective and inexpensive remains to be seen. So far, portable DRM radios have been mediocre performers (at best) and relatively expensive. Don’t get me wrong: I would love to see DRM take hold, I just have my doubts. DRM might stand a chance if a manufacturer like Tecsun were to build an inexpensive portable radio, with a form factor much like that of their other portables. If they made a DRM version of the PL-380, for example, it could be a winner for both the company and the medium/mode. By the way, if you’ve never heard what DRM sounds like over the shortwaves, I just posted a fifty eight minute recording of All India Radio on the Shortwave Radio Audio Archive. Contributor, Mark Fahey, recorded the broadcast from his home in Australia. I’ve embedded a link to the audio below, but you can listen to the broadcast and read Mark’s notes on the shortwave archive (click here). This entry was posted in Broadcasters, Digital Modes, DRM, News, Recordings, What's On Shortwave and tagged All India Radio, All India Radio DRM, All india Radio DRM Receiver, BBC, BBC World Service, Digital Modes, Digital Radio Mondiale, DRM, India, India DRM on April 15, 2014 by Thomas.